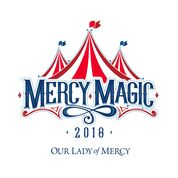 It's that time of year again to head on down to the Mercy Fair and enjoy a weekend of great Friends, Food, Fun and Magic! But we can't do it without Y-O-U! Working the Fair is a great way to meet and get to know many of the wonderful families that make up the Mercy community, while providing financial support for the education that directly impacts your children. Remember you are able to select your day, time and area you would like to serve in order to fulfill your families 3 hour Fair Service Commitment. Not going to the Fair? Don't worry a few shifts will be happening in the upcoming weeks but spots are limited, sign up early! Shifts are an hour and a half each, 2 shifts will make up your 3 hour commitment. Please be sure to fill in your child/children's name, grade and section number in order to receive credit for your time commitment. PLEASE NOTE, anyone that has not signed up by April 29th will be assigned their shift. Make sure to go on and pick what works best for you and your family! The Sign Up will close at Midnight on Sunday, April 28th. In order to pull off an event of this magnitude it requires a little Mercy Magic and "all hands on deck" We understand problems arise, it is your responsibility to swap your shift or find an replacement! Please remember that children are NOT allowed in the booths at anytime. Thanks in advance for your cooperation, we look forward to seeing everyone at the FAIR! You will be contacted with DATE and TIME for this shift! Please make sure to include your email and cell phone number. Artistic talent is a plus! Help get our Blue Jays ready for the fair!! Banding students with their pre-purchased armbands. Please meet in the OLOM GYM Lobby, for questions about this shift please contact Ms. Elizabeth Bajon at the Main School Office. Bring 2 dozen candies (i.e. nerd ropes, push pops, icee spray candy, etc.) or baked sweet treats (candy & treats must be individually wrapped). PLEASE label any items containing nuts/peanut butter. Contact [email protected] with questions. James LeBlanc 4th and Louis LeBlanc 2nd. Sell Silly String, Colored Hair Spray and much more! Chris congemi will also be working.